Two reliefs, one a cast in the Berlin State Museums, representing l’elevatio animae of a Bishop, the other, in the Museo Civico in Pistoia, with the Stigmata of St. Francis, are from the Franciscan monastery in Pistoia, and have been considered by scholars to have once been part of the front of a marble tomb, placed against the wall. This was originally intended for the church of Santa Maria al Prato in Pistoia, the building that existed prior to the construction of today’s Church of Saint Francis. The relief with the “elevatio animae” has previously been convincingly attributed to Nicola Pisano, and dated for the most part towards the end of the eighth decade of the thirteenth century. The identity of the bishop, who some have postulated was a member of the Buonaccorsi or Ammannati family, has however remained rather obscure. This article aims to identify the deceased pre- late as the Bishop Philip, a native of Pistoia, who was Bishop of Ferrara from 1240 to 1250, Bishop of Florence from 1250 to 1251,and Bishop of Ravenna from 1252 to 1270. The main source for this hypothesis is Salimbene of Parma. His Cronica offers a comprehensive portrait of the prelate, which details his origins in Pistoia, his intense political and military ac- tivity ( especially against Frederick II), carried out at the behest of the Popes Innocent IV and Alexander IV, and his efforts to protect and support the Friars Minor. 4) contains the transcript which attests to the decisive role played in successfully completing the settlement of the Minorities in Pistoia, at the church of Santa Maria al Prato. It was in this same church that Philip would choose to be buried after returning to Pistoia twenty years later, as recorded by Salimbene, feeling death close hand. It is likely that he himself planned the tomb, with the help of ecclesiastical friends, such as his confessor Thomas of Pavia, former Minister General of the Franciscan Order in Tuscany, while Nicola Pisano made a fundamental contribution to the iconography. The date of the death of the prelate, which occurred in September 1270, thus represents a certain terminus a quo in the early dating of this work, which is important both as a milestone in the path of Nicola Pisano, and as one of the first sculpted funerary monuments, housed in a Minorite church. The hypothesis that Philip had already con- sidered sculpture as a vehicle for ideological propaganda can also be advanced with caution, if he is attributed with involvement in the commission of the “Last Judgment” at the Cathedral of Ferrara, while he was bishop of the city. The iconography of the lunette of Paradise, in which Abraham appears with St. Maurelius the bishop, suggests that eternal salvation is attainable through the Church and its ministers. (especially against Frederick II), carried out at the behest of the Popes Innocent IV and Alexander IV, and his efforts to protect and support the Friars Minor. housed in a Minorite church. of the city. The iconography of the lunette of Paradise, in which Abraham appears with St. In the last years restorations revealed new evidences of the influence of diffe- rent Tuscan schools in Liguria and Genoa between the end of 13th and the 14th century - I refer to the panel representing the Virgin with the Child of N. S. del Ponte (Lavagna), which has been attributed to a Sienese painter closed to Ducciesque models, and to the Cimabuesque apsal decoration in N. S. del Carmine and the Virgin with the Child and two saints of San Bartolomeo dell’Olivella (Genoa). In order to obtain a deeper understanding of the strong connection between Liguria and Tuscan in this period, this article puts under scrutiny four fragments of Genoese paintings, executed between the end of 13th and the first decades of the 14th century: the Virgin with the Child and archangels of Santa Maria del Prato in Genoa Albaro, the Christ crucified between the Virgin and saint John the Baptist now in the monastery of Sant’Agata, the Imago Pieta tis of the lower church of San Giovanni di Prè, and the Christ crucified and the Virgin of San Donato. If the close relationship of the first fragment to Thirteenth century Byzantine Pisan icons may be considered as one of the precocious signs of the local appre- ciation of the eastern imagery, and at the same time of the activity of Pisan painters in the city, the other ones are the eviden ces of the influence of the Sienese art on the Genoese production. In each case comparisons of style and painting techni que are shown to focus on the different time and mode of reception from Pisan and Sienese languages. “Le facciate di sopra dalle bande dell’altar maggiore”. The painted frames of the Franciscan Allegories in the Lower Church of Saint Francis in Assisi for the first time are the subject of a specific study. This article is primarily an overview of the state of the art on the chosen topic and, in view of this specific angle, aims at revisiting some of the issues that have been discussed in the critical history of the work. It is shown that the incompleteness of the cycle was due to the suspension of the works, while waiting for the reconstruction of the nave paintings. Then, the study finds that the procedural differences were similar to those observed in the Vele. It also provides insights into the specific apocalyptic imagery which is especially crucial to the overall iconographic programme and in respect to the history of both the church and the Franciscan order. Moreover, the study reveals not only that the painting of the frames can be dated roughly between 1313 and 1315, but also the Anjou family budding interest in the Basilica that such work bespeaks. La Misericordia Domini del Museo del Bigallo. Un unicum iconografico della pittura fiorentina dopo la Peste Nera? The Misericordia Domini the Bigallo Museum Domains. An iconographic unicum of Florentine painting after the Black Pest? This paper deals with the famous fresco known as the “Vergin of Mercy” or “Allegory of Mercy” in the Oratorio del Bigallo in Flo- rence. The date of the fresco is uncertain, between 1342 and 1352. Its iconography and chronology are here taken into con- sideration within an historical perspective. The city image – first of all, the presence of the four coats of arms on the city gate and the representation of a second bell on the Palazzo Vecchio – contains important clues to date the fresco after 1344 and to make us propose 1352, as its date. The hypothe- sis that the frescoes should be dated after the Black Death is checked on the basis of the historical context, paying attention to the question of the ‘moda’ (considering the dresses of the laics represented in prayer) in keeping with the trends of those years in mid-14th c.
Through a reading of some documents and the interpretation of seventeenth-century views of the church of Santa Maria a Mo- mentana, this essay first of all will attempt to clarify how was the church in which was painted the Madonna del Parto, unanimou- sly considered a masterpiece by Piero della Francesca. In fact, the building was largely demolished in 1785 and replaced with a cemetery. On that occasion the painting was removed and reduced, and it was inserted into an arched niche on the main altar of the new cemetery chapel. The essay allows also to understand where was the Madonna del Parto in Santa Maria a Momentana, with the comparison between maps and the de- scriptions present in the pastoral visits and in other documents. Already in 2009 a study, designed primarily to define the legal status of the fresco, proposed that the Madonna del Parto was not on the main altar of the church, as it is believed in all previous stu- dies, but on a side altar. Now this hypothesis is further confirmed and the documents show that the painting was probably located on the north wall. 6th century BCE and found in numerous literary texts from antiquity to the modern period. In this tradition, “forno” (“oven”) and its cognate “fornaia” (“woman baker”) etc. metaphorically indicate the female sexual organ and the woman prostitute. In the second part of my article I discuss “what” the Fornarina represents as oppo- sed to “who she is”, and I advance the hypothesis that Raphael, drawing his inspiration from Marsilio Ficino and Pietro Bembo, portrays in the “Fornarina” the ce- lestial Venus, namely the type of love that raises the soul toward the search for truth by means of the “celestial” beauty. This Venus differs from the other Venus, the “terrestrial” Venus, namely the generating power of nature, who is connected with the terrestrial beauty and has procreation as her goal. From this viewpoint, the “For- narina” is interconnected with the “Velata”, whom I identify as the terrestrial Venus, the bride, the mother. The essay deals with the rapresentation of St.Catherine of Alexandria in the pictorial creations of Marcello Venusti: are in fact seven versions known so far, reflecting the importance of the spread and the icono- graphy of St.Catherine, in the seventies of the sixteenth century and the first decades of the seventeenth. The analysis starts from the painting done by the Lombard master for Mutini chapel in the Church of St. Augustine (Rome), to arrive to the analysis of another version appeared in 2014 and held an au tograph- from the writer- to the high quality and stylistic affinities with certain works of Marcello Venusti. The contribution also analyzes other five works (three in Spain and two in Italy) that can be considered anonymous copies of the obvious weakness executive; while a sixth version dated 1576 was ascribed to the hand of the Umbrian painter Paolo Sensini. 17 th century, unpublished or littleknow, are discussed here: three paintings attribu- ted to Leonardo Corona and his workshop in Chieti; three others in Vasto, made by Veronese’s followers Alvise Benfatto and Matteo Ingoli; a “Virgin of the Rosary” in the manner of Bassano in Lanciano; moreover, some works made for Teramo and its surrondings by Pietro Gaia, educated in Venice, - close to Palma the younger - and then returned to Ascoli; in L’Aquila, in addition to a painting signed by the Vicentine Alessandro Maganza, the possible rediscovery of a part from a lost triptych, originally created for the Capuchin friars by Fra Semplice da Verona. Out of timeline, a new proposal for Polidoro da Lanciano, emigrated from Abruzzo to Venice, a true symbol of the relationship between the two regions. The essay retraces the story of Jusepe de Ribera’s Raising of Lazarus owned by Pietro Cussida, a Spanish emissary working on behalf of King Ferdinando III. When Pietro’s son Giovanni Francesco died, all his wealth went to his daughter Laura, born to his wife Maria Gavotti. He appointed her uncle Niccolò as her guardian. From then on all Cussida’s possessions passed to the Roman branch, Gavotti. Through the Gavotti’s inventories it is possible to follow the ups and downs of Ribera’s painting, attributed to anonymous or to other painters such as Valentin. During the 19th Century the Gavotti were compelled to pawn the paintings to the banks for money. The misbehaviour of one of these banks would cause a legal issue, the outcome of which would turn in favour of the Gavotti family. Once they had unexpectedly repossessed the Ribera’s painting, they pawned it once again to the Cassa di Risparmio bank, instead of keeping it. The Raising of Lazarus, attributed to Caravaggio, was offered to the Duke Ottoboni. In 2001 the painting was put up for auction at Sotheby’s in New York, and attributed to Ribera, of whom Cussida also owned the series of the Apostles and the Five Senses. At the age of 26, Cosimo de’ Medici the Third, Prince of Tuscany, set out on a long trip throughout Europe, including Spain, Portugal, England, Holland and France, between 1668 and 1669. The places he visited, which were important for cultural, economic or political reasons, were carefully selected in order to prepare the Prince for becoming the new Grand Duke of Flor- ence. His visit to Spain involved one of the longest journeys, including a stay in Madrid which lasted thirty-three days. He took ad- vantage of this period to enjoy some of the pleasures of the Spanish Court, such as comedies, music, chocolate, perfumes and local delicacies. He also held interviews with Italian ambassadors, nobility and resi- dents, forging links for the future, as well as with the Queen Regent Mariana of Austria and the child king Carlos II, who had been on the throne since 17 September 1665, who granted him a private audience despite the political turbulence of the time caused by the intrigues of Juan of Austria. He also acquired different works of art and luxury items to take back to Florence (including paintings, drawings, books and silverware) and spent long periods of time discovering religious images and relics in churches and convents. He also asked permission to visit the Palaces of the Crown and their rich collections to satisfy his cultural interests. This article deals with the Prince’s visit to the Palace of El Buen Retiro on 2 November, and identifies and analyses the paintings. 1688. The painting, now lost, was until now only known through the long and precise description left by the Swede architect Nicomedus Tessin written while he visited Blanchet’s studio in Lyon in 1687. The painting’s description corresponds exactly to the first drawing; the second sheet being of the same composition but reversed. The subject painted by Blanchet recount an act of magnanimity of King Louis XIV who, in a property court case of 1681, stated that he had lost it even though the judges stated he had won. Blanchet’s painting was han- ging along acts of magnanimity taken from the Roman history. 1619-20, when the pope was alive, while the small bust of the Galleria Borghese is considered a posthumous work and put in relation with payments made in 1621 to Bernini by Cardinal Scipione Borghese. In the present article five new attribu- tions of pictures, partly already published previously with different names, and two new drawings are published and added to Troppa’s oeuvre, which had been notably increased in the last ten years. 1993. The second drawing represents the “Multiplication of the loaves and fishes” and was sold in Berlin, Bassenge, 30.5. 2014 as Italian school. Finally a painting is published, which depicts Daniel who reveals the false accusations of the two elderly man toward Susanna. The short article discusses an important canvas, recently rediscovered, that was painted by Gaspare Traversi during his Roman period: it shows the portrait of a prelate, held in a private collection in Naples, and for the first time here identified as the portrait of Francesco Granata, the historian from Capua who became Bishop of Sessa in 1757. The identification is based on a comparison of two known engravings which portray Granada, by Antonio Baldi in 1752 and in 1766, who was a pupil of Francesco Solimena. The two engravings and the find of the new portrait also led to a definitive confirmation in the identification of Francesco Granata as the man portrayed in the famous and impressive portrait in the Capodimonte Museum, the last known work of Traversi, which was painted in 1770, thirteen years before the first portrait, and not long before the deaths of both the artist and his patron (respectively, in 1770 e in 1771). Although Antonio Concioli was recognized by his contemporaries as the only remark- able “allievo” of painter Pompeo Batoni, his works have long been forgotten and have even been confused with those of the painter Batoni himself. 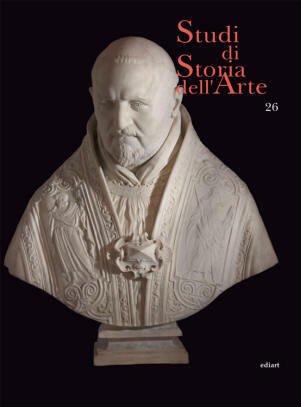 The main aims of this essay are to restore to Concioli his own identity within the forum of contemporary artists as well as to recreate at best a catalog of his known works, following his artistic route, from the batonism of his origins to a most evident neoclassical style, following his contemporaries’ changes in taste. The Book of “Decreti” from the Archive of the Academy of San Luca, helps us to un- derstand the narrative of the reputation of his name among the artists most renown of that period, allowing us to outline in detail the network of friendships and highly placed connections which contributed to bring him to direct the “Accademia del Disegno” first and the “Fabbrica degli Arazzi” later. Through the in-depth study of direct sources, like the Diario di Roma and the Giornale delle Belle Arti, it has been possible to give the proper authorship to previous works once ascribed to other authors, like those of the Abatellis Gallery of Palermo, until now be- lieved to have been done by Batoni. Lastly, the examination of the dowry document of his daughter Faustina as well as his last will, bring into evidence both his comfort- able wealth into his later years, as well as the many works for a domestic devotion that were lost. From this perspective, Concioli emerges as a talented figure of remarkable relevance among the artists of his time both because of the skill of his masters as well as the fact that he was commonly known for his “always warm love of art”. Photography is a useful tool for the study of any work of art, as demonstrated by the photo archives of historians as Adolfo Venturi, Pietro Toesca, Roberto Longhi, Federico Zeri, Oreste Ferrari, Corrado Maltese. Mimmo Iodice is a photographer, “Neapo- litan by birth and choice”. With some of his shots, he spread all over the world images of masterpieces that characterize the arti- stic culture of Naples. This work begins from an overview of pho- tography of artworks and aims to analyze Jodice career in the period between the Seventies and the Eighties, when he worked alongside art historians such as Raffaello Causa, Cesare De Seta, Filiberto Menna, Angelo Trimarco, and so improved his way of seeing art through his camera. On closer inspection it’s a period not ade- quately examined. Several books were analyzed to complete the survey, in each of them there are photographs taken by Iodice or by other photographers and use- ful for a comparison (:“L’arte nella Certosa di San Martino a Napoli”, “Chi è devoto”, “La Cappella del Tesoro di San Gennaro”, “Arti e civiltà del Settecento a Napoli, “Civiltà del Seicento a Napoli”, “Demoni e Santi. Teatro e teatralità barocca a Napoli”, “Napoli ’84. Fasti barocchi nella fotografia contemporanea”, “Un secolo di furore. L’espressività del Seicento a Napoli”, “Classicismo d’età romana: la collezione Farnese”,“Michelangelo scultore”,“Canova all’Ermitage”). The result is that Iodice hi- ghlights the problems concerning the right point of view of artworks to discover and reveal their qualities and characteristics. He takes photographs that are at the same time explanation, criticism and interpreta- tion of the masterpiece that he observes through the camera lens. His photographs have a critical force that qualifies them as real ‘ecfrasi’.